Many job sites require the use of safety cones at the corners of working equipment. 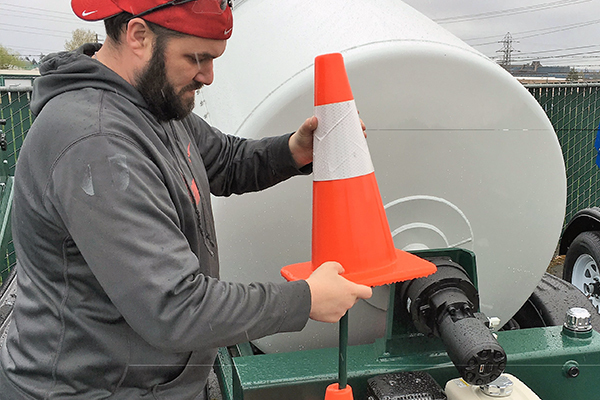 Cart-Away towable concrete mixers are working on the streets every day and need these cones. 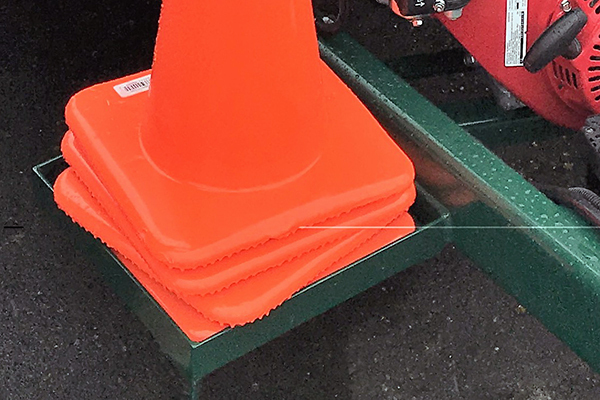 The Cone Holder provides a convenient place to store your safety cones when they are not in use. 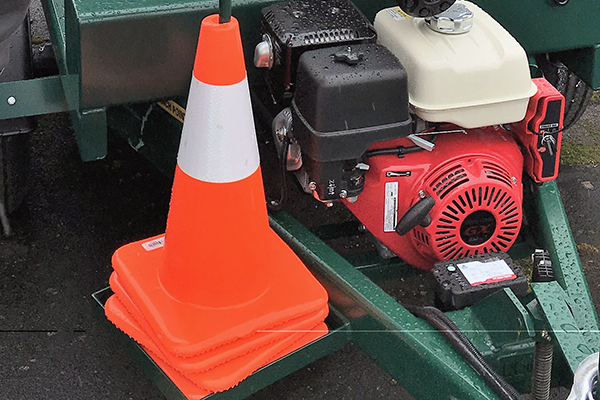 The Cone Holder bolts to the frame and provides a steel tray to hold the cone base and a strong steel rod to secure the stack of cones for transport. Order this safety addition on your Cart-Away towable concrete mixers. You can also retrofit the cone holder on a U-cart and Trailer Haul concrete mixer.